Activist Elliott wants $7 bln in payouts from the South Korean autos group. Though Hyundai’s R&D track record is weak, it can’t afford to throttle investment in the latest technology. Better to back the conglomerate’s stingier proposals and then push for another modest dividend. 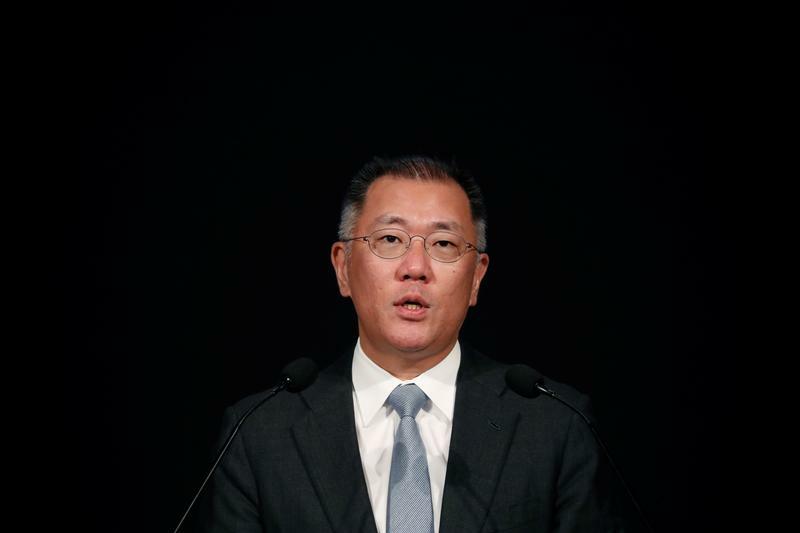 Chief Vice Chairman of Hyundai Motor Group Chung Eui-sun delivers his speech during the company's new year ceremony in Seoul, South Korea, January 2, 2019. South Korea's National Pension Service said on March 14 it would vote against proposals from U.S. hedge fund Elliott Management pushing Hyundai Mobis and Hyundai Motor Co to return a total of over 8.3 trillion won ($7.35 billion) to shareholders in one-off dividend payments and give the U.S. hedge fund seats on the board. The Hyundai outfits earlier rejected the demands. Hyundai Mobis is proposing to pay out 379 billion won in dividends for common shares for the year, as part of a broader three-year shareholder return policy that could total up to 2.6 trillion won. Separately, Hyundai Motor is proposing to pay out 1.1 trillion won in annual dividends across both common and preferred shares. NPS holds swing votes in the proxy contest because it is the second-biggest shareholder of Hyundai Motor and Hyundai Mobis, with stakes of about 8.7 percent and 9.5 percent respectively. South Korean proxy advisory firm KCGS recommended voting against Elliott's proposals while peer International Shareholder Services urged investors to elect some directors nominated by Elliott and to vote against the hedge fund’s dividend proposals at both companies.